For those interested in investing in rental properties, this expertly written book offers the necessary guidance and support. 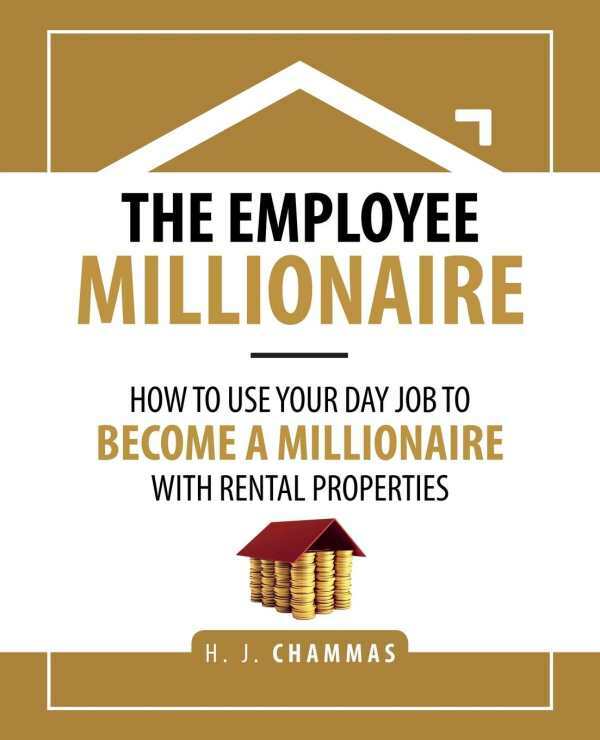 H. J. Chammas’s The Employee Millionaire forwards a comprehensive plan for investing in and making money from real estate rental properties. Motivated by the financial crisis in 2008, Chammas decided to take control of his own financial future. He read books, attended seminars, and took advice from mentors and advisors that resulted in the financial freedom he sought. This book imparts those lessons to others, arguing that most employees have little opportunity to become millionaires through their jobs or via traditional investments; investing in rental properties may be the solution. The book is organized into four distinct, logical parts: “Where Am I Now?,” “Why Am I Here?,” “Where Do I Want to Be?,” and “How to Get There?” Parts 1 and 2 address general financial issues while parts 3 and 4 concentrate on rental properties. The first half of the book offers solid personal financial management advice. It discusses the nature of a personal financial statement, explaining in clear, uncomplicated language concepts including assets, liabilities, and cash flow. The book also explains the concept of a “dashboard” of financial key performance indicators (KPIs). It walks through a thorough example of the KPIs and provides a handy spreadsheet model for a dashboard, both in the book and online. This material is well explained and illustrated and should be valuable to anyone who wants to better manage their personal finances. Still, developing KPIs may be a sophisticated concept for some readers. The second half of the book digs deep into a single investment strategy: investing in rental properties by leveraging “your position as an employee to qualify for bank loans” to “put you on the road to being wealthy.” For those skeptical about such an approach, the book addresses the psychology of taking appropriate risks and overcoming “limiting beliefs” with “empowering beliefs.” It outlines a “three-step journey to financial freedom” that becomes the starting point for a detailed discussion of rental property investments. While the book is careful not to characterize its proposed investments as a get-rich-quick scheme, it still presents rental property investments in a largely positive and enthusiastic manner. The text is reinforced with relevant examples. For the prospective real estate investor, the “rental property investment blueprint” is likely to be the most valuable part of the book. It is a step-by-step, soup-to-nuts guide, including information about getting loans, property analysis, offer negotiation, property financing, rental policies, and property management. Each of ten separate steps is described in exhaustive but lucid detail. The text is augmented by numerous tables, charts, mathematical formulas, and forms, all of which are very helpful in clarifying the content. The book’s “me-to-you” style of writing is conversational and informal yet businesslike. The page layout is conducive to easy reading. The Employee Millionaire concerns a very specific form of investing that may not be right for everyone, but for those interested in investing in rental properties, this expertly written book offers the necessary guidance and support.